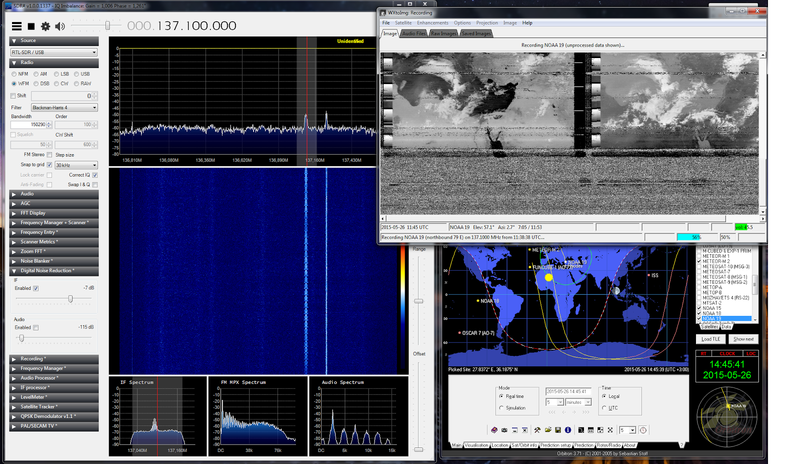 A couple of years ago I tried to receive the NOAA 18 using a small in-door antenna and an RTL DVB-T USB receiver. The results were disappointing. However, I always had in the back of my mind that I will try again in the future with an external antenna. The era of cheap RTL-SDR hardware has come, so many people have started looking for receiving images from the weather satellites. Easy targets are the NOAA satellites that transmit weather images using Automatic Picture Transmission method (APT). These satellites provide images in different wavelengths of light. to decode the image and right bottom orbitron for tracking the satellite. 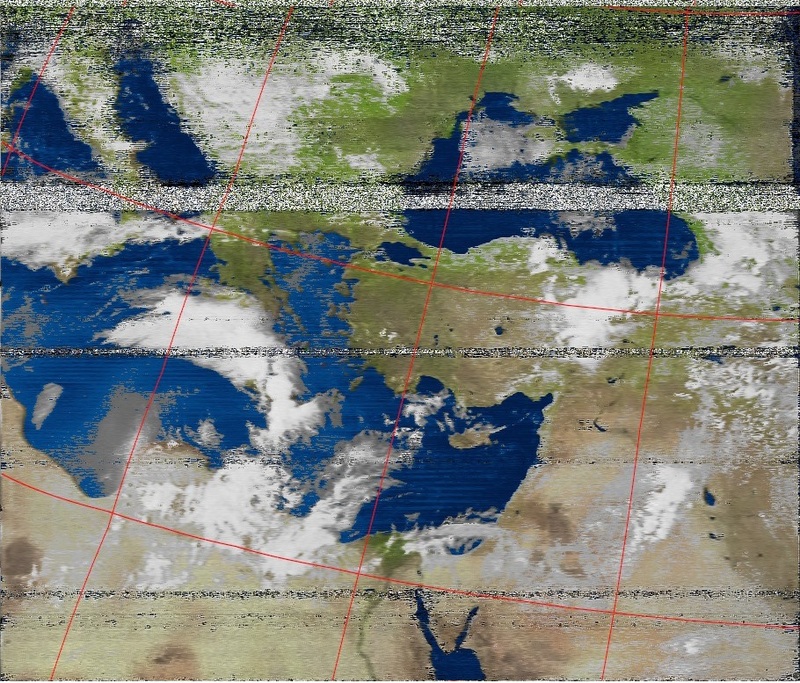 Raw reception 26 of May 2015 of NOAA 19. Note the big cloud approaching from the left. On the right is the infrared version of the picture. Raw reception 24 (?) of May 2015 of NOAA 19. 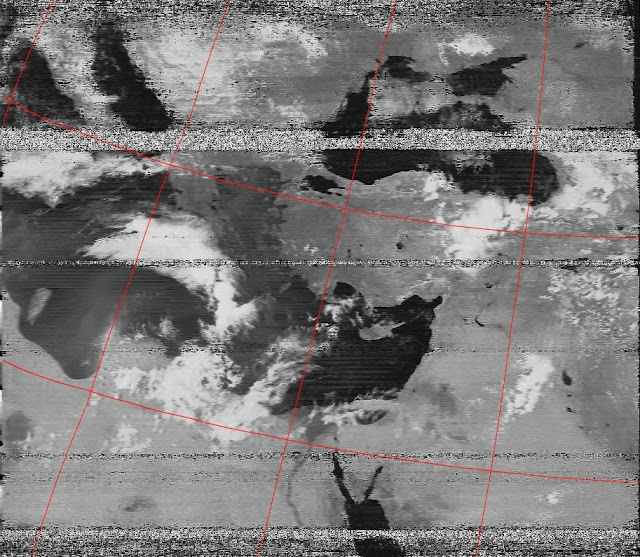 Improved contrast of NOAA 19. Received using RTL dongle, SDR# and WXtoImg. 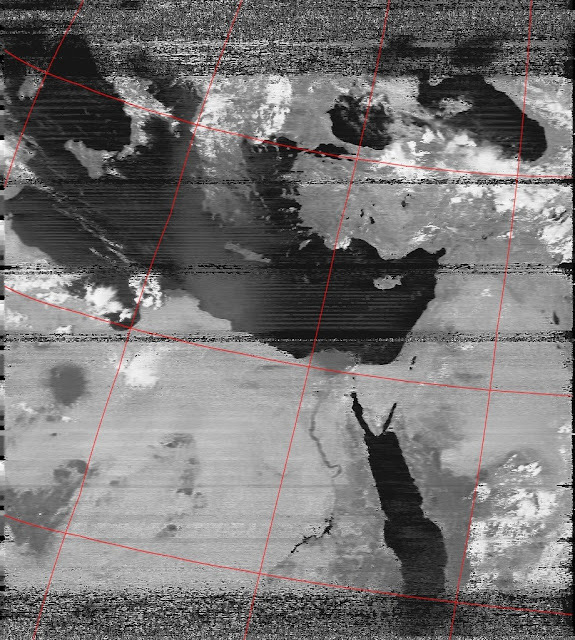 Improved contrast of NOAA 19. Color view of the received image from the NOAA 19 using SDR# and WXtoImg. Next target is to buy a proper antenna and a proper receiver, such as the SDR play or the FUNcube Dongle plus. Recent advancements in the RTL dongles packaging made affordable wide band receivers such as the SDR Blog Receiver with Rtl2832u ADC Chip .